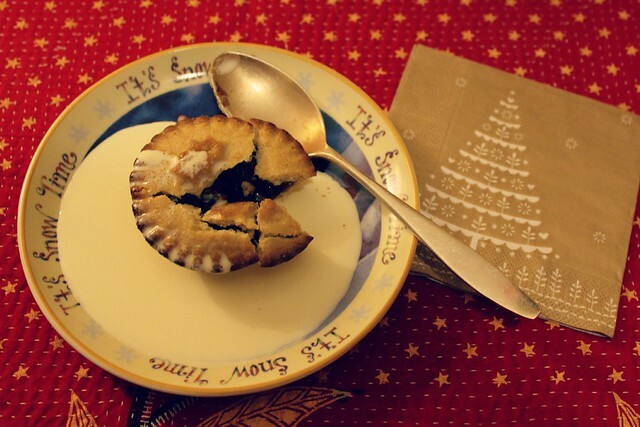 Hot mince pie and cream. Collective sighs all round because we are at boxing day now. A walk around the park this morning, before the rain. Watching Downton Abbey for the second time........? Teenager walking around in yellow Pikachu outfit. Telephone chatting with a friend about life's possibilties. Casting on for some wrist warmers. A quiet, slow Boxing day. Feeling short on words now.